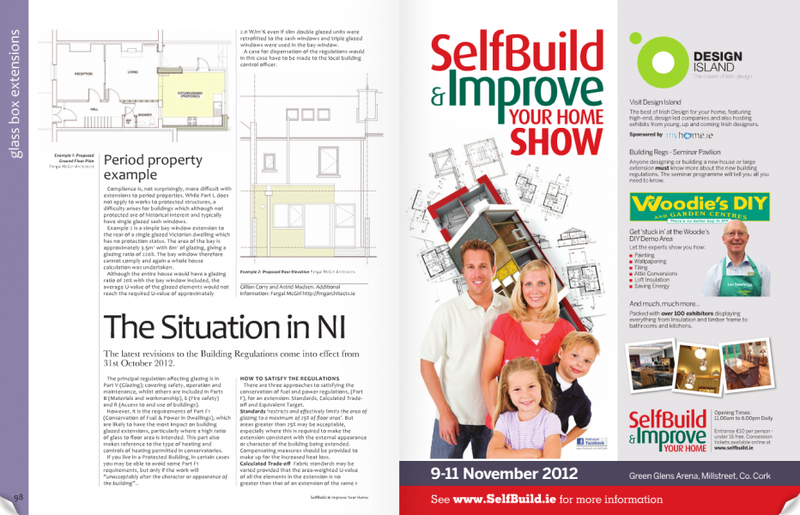 Fergal McGirl Architects – caution with glass box extensions! 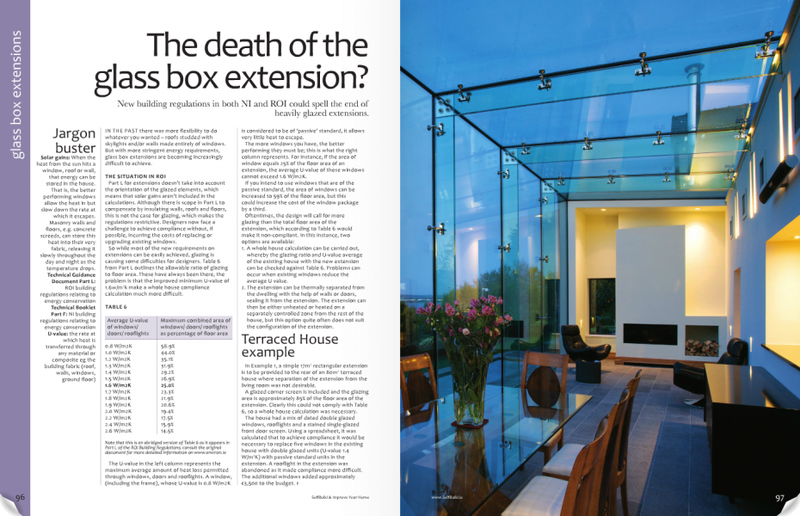 caution with glass box extensions! November 2, 2012 by fmgarchitects. 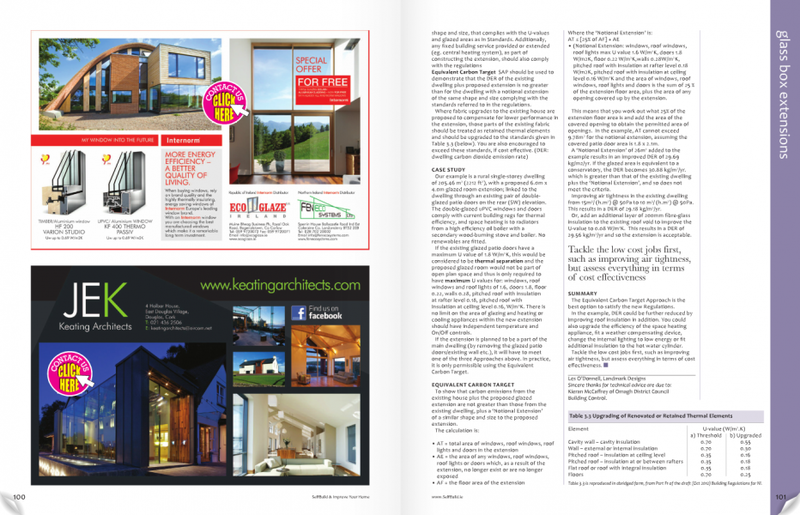 We prepared an article for the Winter Edition of Selfbuild & Improve Your Home magazine examining the area of allowable glazing and energy efficiency in extensions. The article also featured a commentary on the Northern Ireland regulations which would seem to have a lot more latitude than ours.